I do have to admit, it was kind of difficult getting back in the swing of things, but I’m so glad I did it! 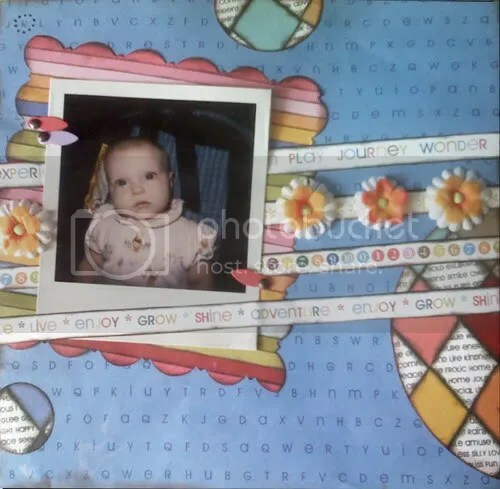 Papers are Provo Craft, photo corners are Joanns brand, brads not sure, flowers are from a stem of silks, and ink is versamagic Tsukinek. And here is what my daughter made! Thanks for looking, have a great day! < New & Extended Promotions!! 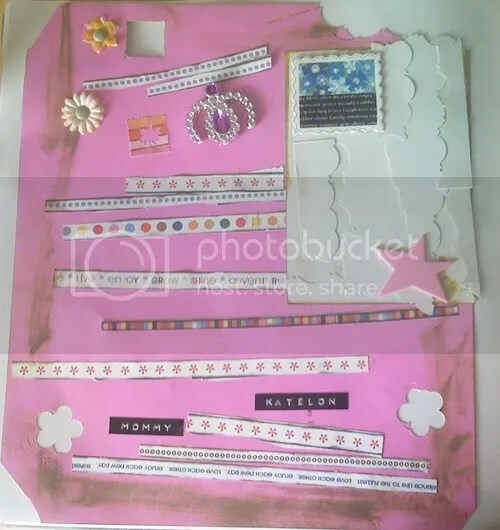 wow “real” scrapbooking 🙂 I love it! great job!